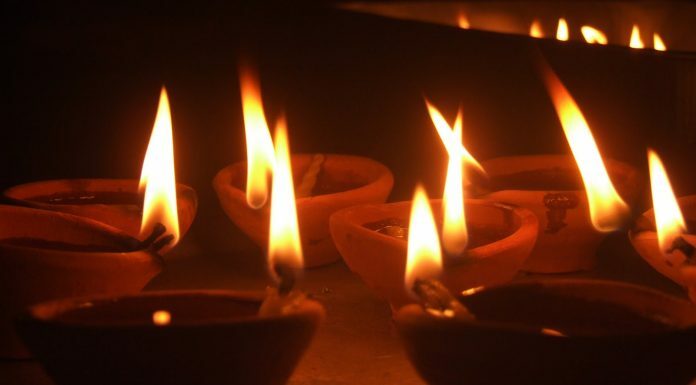 During this most auspicious month of Kartik (Oct 24 to Nov 22), you can invite Lord Krishna in the form of Bala Gopala (Damodara) to your home, offer beautiful lamps and hear about wonderful stories of baby Krishna. 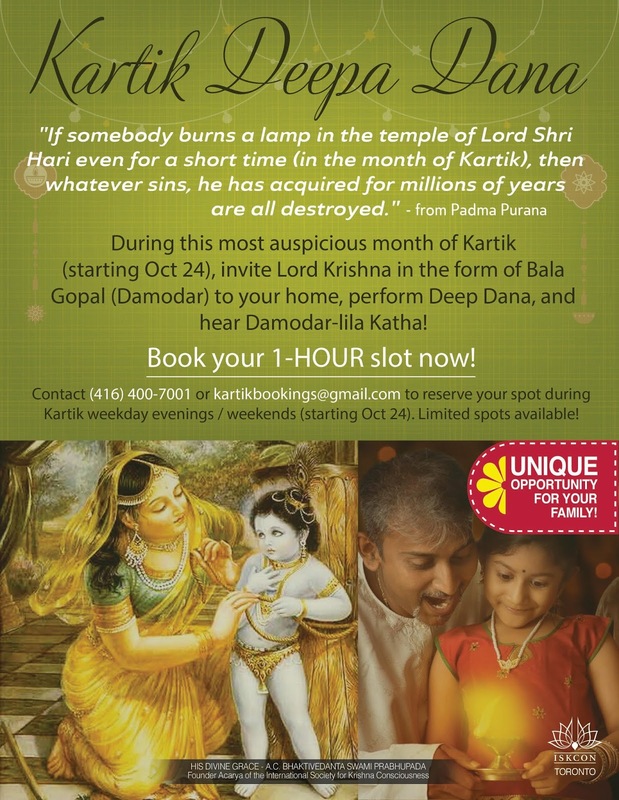 You can book your 1-hour slot by contacting (416) 400-7001 or kartikbookings@gmail.com to reserve your spot during Kartik weekday evenings or weekends. Please note, limited spots are available. Please feel free to take this unique opportunity for your family.